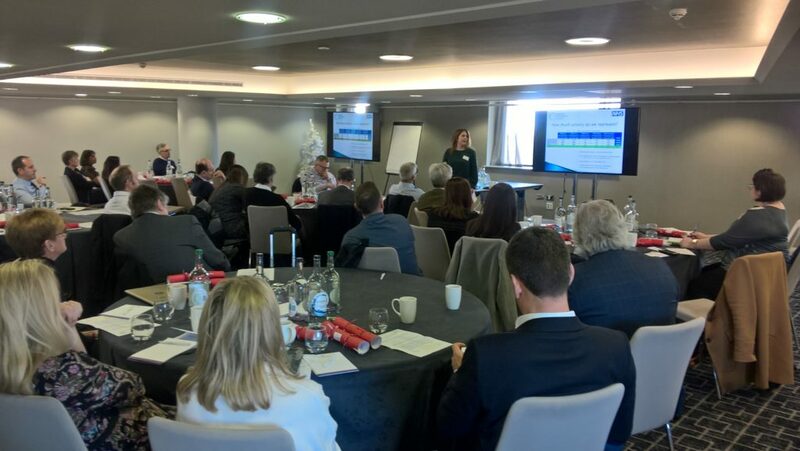 The NOA Q3 quarterly meeting took place in Birmingham on Friday, 30 November, 2018 and had a focus on theatre efficiency. 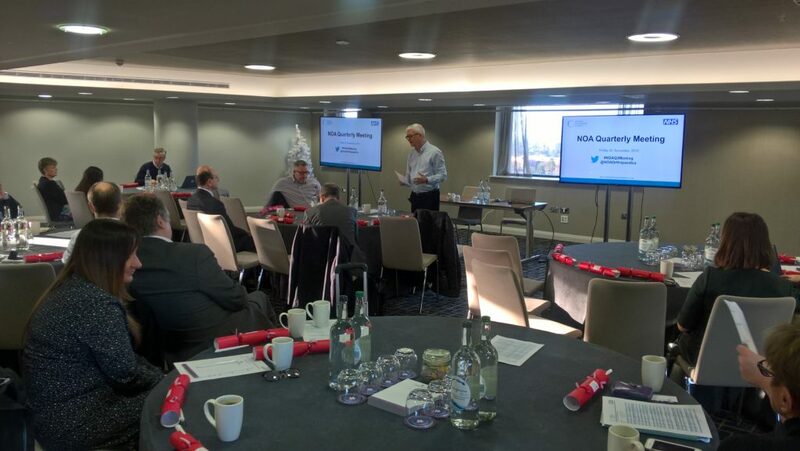 Following a welcome from NOA Chair, Robert Armstrong – NOA’s Lead CEO, Mark Brandreth led an interactive sharing session focussed on achievements across the membership. This was followed by a presentation from NOA Lead Clinician, Peter Kay highlighting NOA’s own achievements for 2018. Opening remarks from NOA Chair, Robert Armstrong. Peter Kay then outlined the MSK National agenda in an in depth presentation highlighting lessons learned and best practice. The presentation focussed on shared decisions with patients, workforce, networking and benchmarking as being the future for MSK. Peter highlighted that what has been really useful in Greater Manchester has been the NOA quality standards. Steph Wilson, Senior Data Analyst for the NOA kicked off the theatre efficiency theme of the day with a very engaging presentation which covered theatre efficiency, safety and day case procedures. Following this, Director of Strategy and Transformation at South Tees Hospital, Gary Owens shared the hospital’s experience of addressing its financial and operational challenge as relates to theatre efficiency. NOA Senior Data Analyst, Steph Wilson presents on theatre efficiency. We also had a presentation from Robert Armstrong who gave a personal take on care home providers from the discharged patient perspective. The moving and thought provoking presentation was well received by attendees. We used the meeting as an opportunity to brainstorm ideas around a Cost Improvement Programmes (CIP) workshop we are helping NOA member, RNOH to facilitate. There was lots of interest in getting involved in this piece of work from those in attendance.